What does “thinking” look like at Whakamarama School? 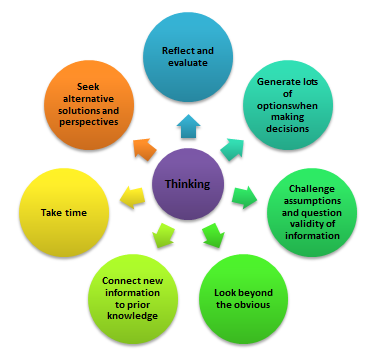 A person who is competent at higher-order thinking uses creative, critical and metacognitive processes to make sense of information, experiences and ideas. They can apply these processes to purposes such as developing understanding, making decisions, shaping actions and constructing knowledge.